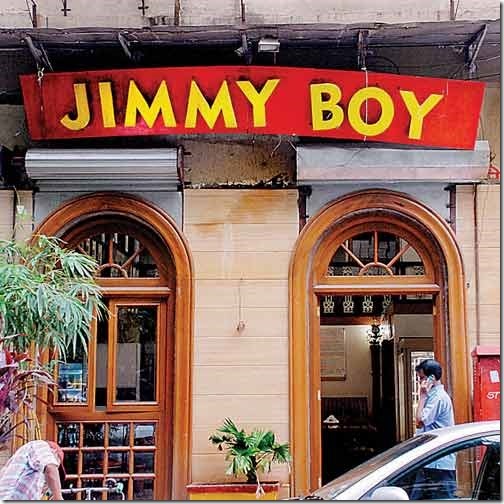 Once famous for their brun-maska chai, egg dishes and kheema pav, these, Irani cafés now also serve fast food, Mughlai and Chinese. The once thriving Irani cafe culture can be best described as that slice of history served with a hot cup of tea that is slowly going cold. But then, there are those who have held on to the cold cup of tea, and given the scene a spin. Started by Iranian immigrants in the 19th century, these cafes provided cheap food in a leisurely but simple setting. 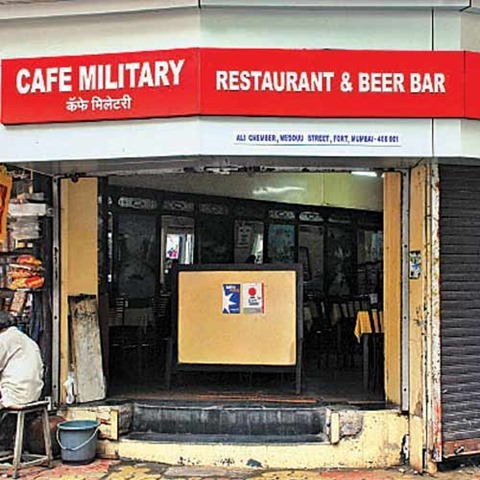 Now many have closed down, while others have been converted into bars. Standard fare at the cafés used to be the brun-maska, a crusty bun with butter that has to be dunked in paani kum chai (strong milk tea). For a full meal, the menu offers the akoori (a spicy version of scrambled eggs), berry pulao, (tangy zereshk berries served with pulao and kebabs), dhansak (a mixture of rice, daal and meat), or the kheema-pao (minced mutton with a bread). For dessert there is lagan-nu-custard (a version of caramel custard) or the falooda. Now the surviving cafes are trying to move ahead with the times by serving Chinese food and soft drinks. Kyani now also serves fast food, salads, soups and Chinese appetisers. Farokh Shokri, owner of Kyani and Co. believes that only new food on the menu will help woo younger customers. “One of the biggest draws of our cafes was the amount of time you could spend. People would come and spend hours reading a newspaper with a cup of tea, but now time is a luxury. People have started opting for fast food joints. They also want more variety. Idlis, dosas, burgers and pizzas have started replacing our khari biscuits and brun maska,” adds Farokh. You can only find the raspberry soda, which is a Parsi favourite and a sure thing at Parsi weddings, at a Parsi café, but the drink is being fast replaced with chilled beer and soft drinks. 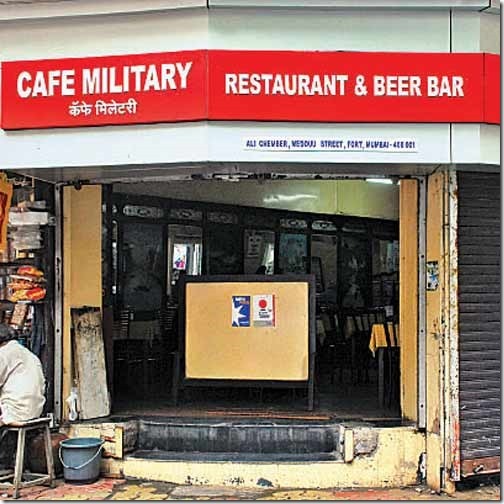 Cafe Military, once an eating house for military troops now offers a variety of chilled beer on their menu. 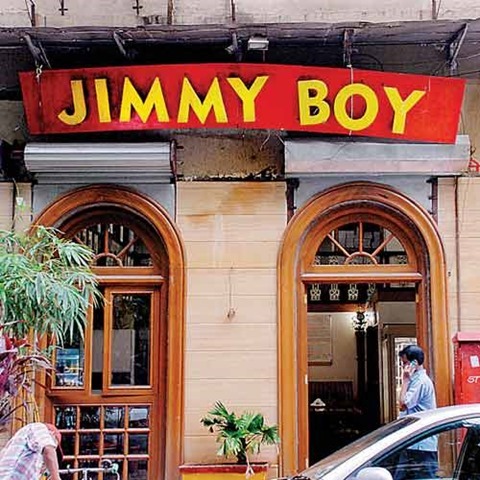 At Jimmy Boy, patrons can choose from an array of Indian and Tandoori dishes alongside an à la carte menu of Parsi favourites like patra ni machchi (fish steamed in plantain leaf), mutton or chicken dhansak and jardaloo sali boti (apricot cooked with mutton served with fried potato strips). 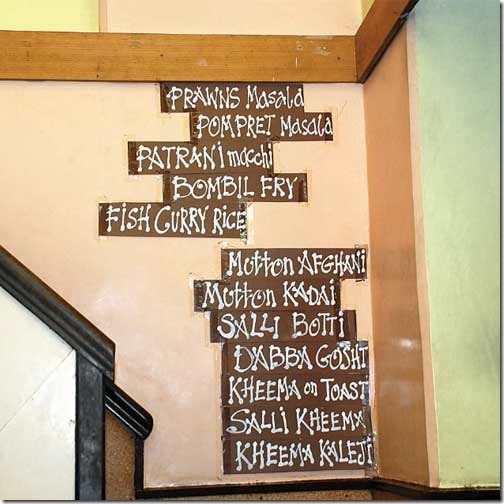 Here on the menu, you now have more Chinese items than the regular Parsi fare. While the cafe continues to be popular for it’s cutlets, gazing at the menu, foodies are often caught in a dilemma to choose either the American chopsuey or the chicken farcha. What you must try here though is their pudding and the cutlets that are served with gravy. The legendary gravy is made of onions, tomato, garam masala, chilli powder, salt, khuskhus and almonds that adds to the sauce. Over a century old, it’s well known for baked goods, including savoury khari wafers and buttery Shrewsbury biscuits, something you must also try at Kyani and Co.
It’s famous for its berry pulao, garnished with berries imported from Iran, and sali boti, though prices here are higher than the rest. Named after the Sassanian dynasty of Iran, it has flaky mutton and chicken puffs and delicious cakes. 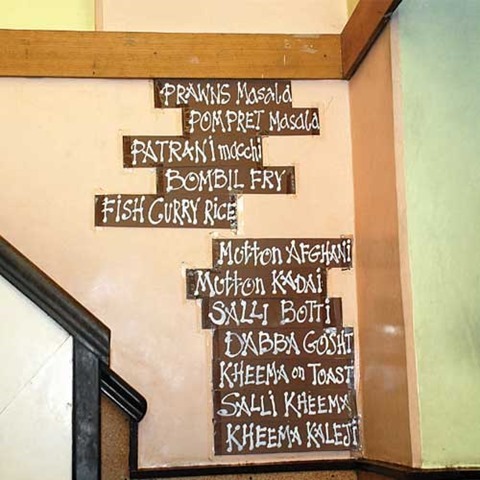 This cafe-turned-restaurant that introduced continental and Chinese fare with changing times offers a changing-daily Parsi menu with favourites like dhansak and sali boti.